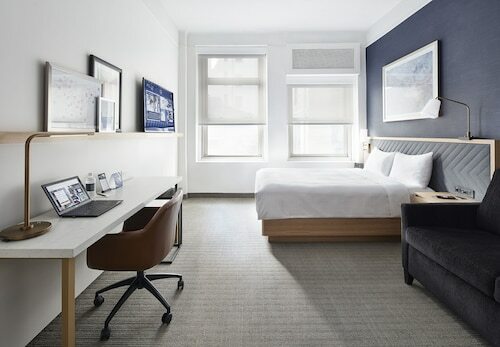 Located in Brooklyn Heights, this luxury hotel is within a 15-minute walk of Brooklyn Bridge Park/DUMBO Terminal and Brooklyn Heights Promenade. Brooklyn Bridge and New York Stock Exchange are also within 1 mi (2 km). High St. Station is 12 minutes by foot and Clark St. Station is 12 minutes. Located in Financial District, this luxury hotel is within a 15-minute walk of Wall Street and New York Stock Exchange. National September 11 Memorial and Battery Park are also within 1 mi (2 km). Fulton St. Station (William St.) is 8 minutes by foot and Fulton St. Station (Nassau St.) is 9 minutes. Hotel with nice public areas but no so comfortable rooms. 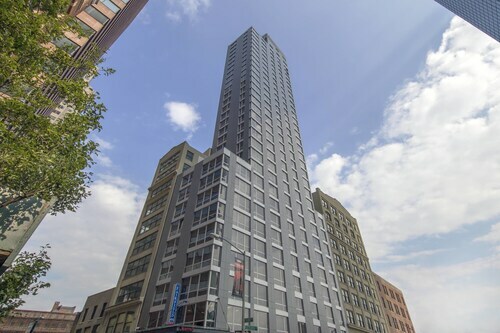 Situated in New York, this apartment building is within 2 mi (3 km) of Wall Street, National September 11 Memorial, and Brooklyn Bridge. Battery Park and One World Trade Center are also within 1 mi (2 km). Fulton St. Station (William St.) is 10 minutes by foot and Brooklyn Bridge - City Hall Station is 12 minutes. The hotel and room was sophisticated, clean and comfortable. There is a roof top space with events from movies to music-at least when I was there. It wasn’t a nosey area which I appreciated. If there was a draw back it is there are not many markets nearby and there isn’t in room coffee. We were treated like royalty. But we need a copy of our bill. The hotel staff was unable to provide it because we booked through a "third party". Kindly send out a copy of the final bill. Thanks. Get set to mark off a big item from your bucket list when you visit Brooklyn Bridge. New York, the city where it is located, is an alluring place to visit no matter what the season. 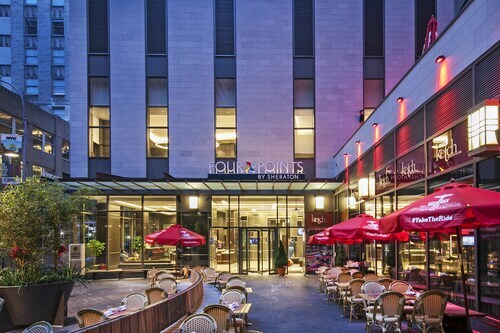 Selecting a quality hotel is a key component of any great trip. If you are hoping to stay close to Brooklyn Bridge, you will find no less than 124 options to select from. 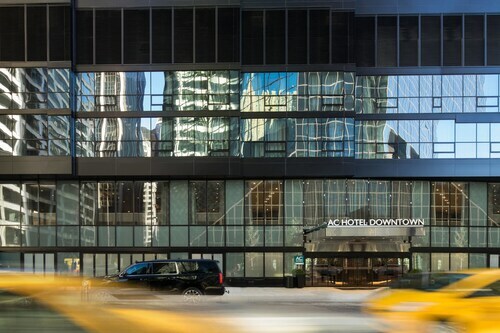 The Trump Soho New York, 1 mile (2 kilometers) away, is one place to start looking. 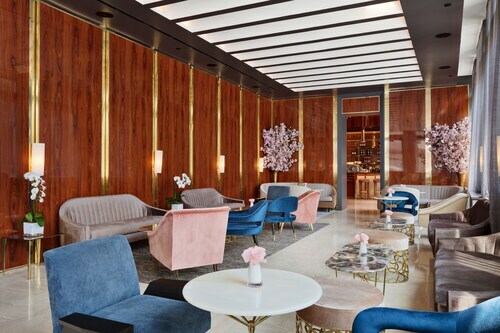 You may also like to have a look at The James New York- SoHo, just 1 mile (2 kilometers) away, or the Smyth, A Thompson Hotel, 0.9 miles (1.4 kilometers) away. Save your money without compromising on comfort at the bargain hotels in the area. The Off Soho Suites Hotel, 1 mile (2 kilometers) away, and the Redford Hotel, 1 mile (2 kilometers) away, are two places to begin with. If you're the type of traveler that needs a well-deserved break from the hassles of a busy itinerary, getting a good night's sleep at one of the upscale hotels nearby is sure to boost your energy levels. 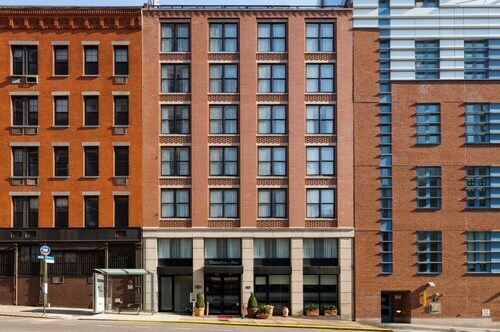 The Soho Grand Hotel and the Roxy Hotel Tribeca are two of the great selections, just 1 mile (2 kilometers) and 1 mile (2 kilometers) away, respectively. After a few hours of wandering, stop by Made Fresh Daily (226 Front Street, New York), which offers tasty treats, impressive service and wonderful coffee. A well-known place for hungry tourists, The River Café (1 Water Street, Brooklyn) is 0.2 miles (0.3 kilometers) away. Take a look at the events schedule at Bargemusic. This dedicated concert venue will no doubt have a show that you'll be eager to see. Jane’s Carousel is a vibrant merry-go-round with old-world appeal that's certain to please both youngsters and grown-ups. Give yourself plenty of time to enjoy the numerous popular tourist attractions that are scattered around the South Street Seaport area. You can find great gifts and souvenirs for family and friends at Empire Stores & Tobacco Warehouse. Rememer to treat yourself, too! Become acquainted with the area's nautical heritage by heading to South Street Seaport Museum. Grab the metro at the closest station, World Trade Center, after seeing Brooklyn Bridge. It's an easy 0.8 miles (1.3 kilometers) away. Need insider tips on must-see attractions in Brooklyn Bridge? Check out our Brooklyn Bridge travel guide! How Much is a Hotel Room in Brooklyn Bridge? 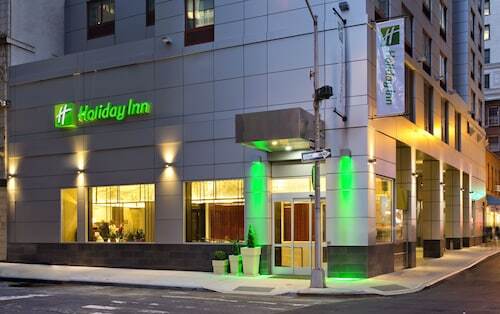 Hotels in Brooklyn Bridge start at $149 per night. Prices and availability subject to change. Additional terms may apply.